Welcome to the year 2025. Following a lengthy approval process seemingly driven more by politics than science, the nation's inventory of high-level radioactive waste is finally stored in underground passageways dug into the guts of Yucca Mountain, Nevada. Two years later, the unexpected and unthinkable happens ... a violent volcanic eruption blasts its way through the mountain. 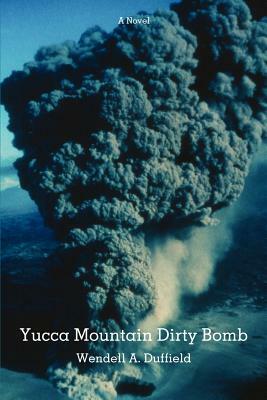 Because Yucca is saturated with the percolating abundant rainfall brought about by climate change, explosive steam bursts add to an already destructive eruption as two-thousand-degree magma mixes with water. Radioactive waste is erupted along with volcanic ash, creating the ultimate dirty bomb. The deadly mixture is blown downwind where it settles out over Las Vegas and Lake Mead. The city must be evacuated and the lake drained, displacing and disrupting the lives of millions of people for long into the future. Yucca Mountain Dirty Bomb invites the reader to live vicariously through a scenario that experts consider unlikely, as measured by carefully calculated probability (popularly called "the odds") ... the very mathematical construct that sustains the gambling mecca of Las Vegas. Nonetheless, unlikely events can and do occur, and in this novel "the house" loses.